Organisations today need to be aware of the various ways to communicate with customers online – they have to be interactive, and informative, storytellers. When it comes to social media, it’s not an easy task to gain traction from the get-go. Brand building takes time, so don’t expect to post something and immediately see boundless sales come in as a result. A carefully thought-out strategy has to be put into place – and constantly tweaked – for companies to see the fruits of their labour, curate content which remains relevant, and continue to react positively to audiences. Elements such as timings, what channels to use, and how much insight to offer, can all be determining factors in having customers stay with you – or leave for a competitor too. 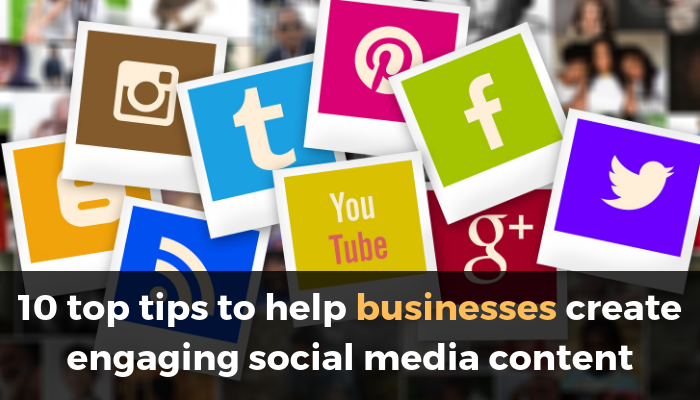 So, here are our top tips to help businesses create engaging social media posts. A genuine tone of voice – that’s uniformed and relatable to audiences – goes a long way. After finalising values and the mission, now is the perfect opportunity to take a step back and plan how to communicate effectively online. Aim to create guidelines that outline how the brand speaks to customers, cover the dos and don’ts for internal teams to follow – and make them easy to find, for reference – to help create authenticity and familiarity for customers. Social media is there for a reason – to engage. If people are talking about a product, be active online and get involved – offering helpful advice can potentially turn a prospect into a long-serving buyer. It’s no good pushing out digital content and expecting others to do the work. Keep conversations alive by monitoring activity on social – be interactive, ask questions, and gather feedback. Informative insight that no-one else can give, sets a brand apart. If an organisation offers a particular product or service, write useful top tips or ‘how tos’ to get from A to B. Evidence that backs up posts work well too – so research statistics, conduct online surveys, and produce original text which showcases industry expertise. Automation is everywhere. It’s at the forefront in terms of its power to generate content – and has changed the way people speak to one another online. 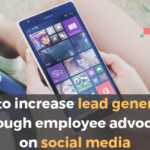 It allows employees to share content and keep engagement going with customers and prospects. However, don’t solely rely on this service to do all of the work – empower staff to be advocates for the brand and responsive to queries. Stay on top of industry trends and react to relevant breaking news to maintain a genuine, authoritative voice. These could be infographics, videos or live posts – to name a few. Keep visual content short and snappy for certain online platforms such as Twitter – offer a behind-the-scenes look so customers can get a feel for the business and company culture. Use visually-engaging graphics and animations to tell a story in a bite-sized way too. And, only factor in live streaming when something interesting is happening – such as a key event. Remember to maintain a dialogue by answering questions throughout the footage too. Posting on every single social network doesn’t necessarily mean companies are offering better content. In fact, having too many profiles could dilute the message if the wrong tone of voice is used for the platforms selected. Investigate channels, and share valuable content that best fit the organisation – get this right, and it could increase marketing ROI. This can be the difference to a post landing perfectly, or falling into the despairing, social media abyss. Timing is everything. If posts consistently fail to get responses – it wastes time, resources and ROI, and the work has been done for nothing. Post when it’s needed – capitalise on suitable National Awareness Days, and be mindful of providing relevant comments on the back of topical conversations. However, choose when to post wisely, and don’t head into ‘spam’ territory by replying to absolutely everything! Bringing together several of the above points, a brand should be constantly looking into what’s working well – and what isn’t – to remain ahead of the curve. Using online tools such as Google Analytics and digital insights, can strategically determine when posting is most effective. Use data to gain insight into the audience, and answer your objectives, too – such as how many leads and click-throughs has a piece of content generated? Is the target market responding, and how? Analyse and react. If an audience doesn’t understand, they won’t engage. An organisation can benefit from breaking things down, and opting for an informal approach on social media, to communicate in a better way. A company should never underestimate its target market, because they could become ‘advocates’ – which can be immensely powerful in generating word-of-mouth endorsement, trust and authenticity. If there’s one thing to take away from this blog, this is the golden rule. Customers are savvy and want to get to know a brand – they don’t buy into over-zealous marketing messaging anymore. Instead opt for content that inspires and gives the audience something that will genuinely make their lives better. A well-worked post – that doesn’t overly sell – can be the difference between bringing in new custom, and forcing others to completely tune out. Creating engaging social media content takes time. An organisation needs to build, help its target market to understand, and provide knowledge throughout. Companies wanting to relate more to its audience need to get the basics right first too. So, research, analyse and test to create an interactive, digital presence that an audience wants to communicate with. To find out how to maximise social media outputs to create lead generation and engagement, book a demo with us now.